PLENTY of fireworks are expected in tomorrow night's derby between Sydney FC and Western Sydney Wanderers. For the sake of the game in this country, I hope all of them take place on the field and not in the stands. Not to put too fine a point on it, I believe the game is the biggest in the history of the A-League, and that has nothing to do with who takes the three points. If there is any anti-social behaviour in the shape of flares being set off, or any other type of hooliganism, then I fear for the future of the competition. Some might say that is a bit of an over-reaction. But if there is crowd trouble - and make no mistake that flares being let off at football matches is exactly that - then where does Football Federation Australia go from there? What do you think should be done? Share your thoughts below. 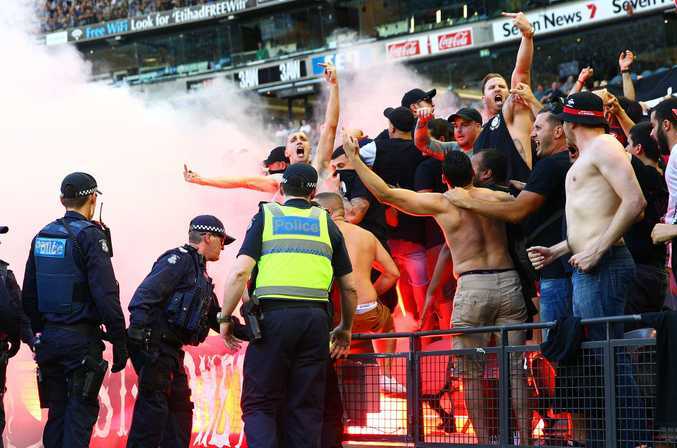 Quite obviously the $50,000 fine and suspended three-point deduction handed out to Western Sydney Wanderers two weeks ago was no deterrent, otherwise why would Melbourne Victory fans let off flares in the Melbourne derby just a couple of days after the original sanction was handed out. Let's make no bones about it, groups such as the Red and Black Bloc obviously has complete contempt for the FFA, or so it would seem. For that group to come out earlier this week and make the statement it did, was completely irresponsible. "The RBB supports the notion of personal choice as per our representation at the Senate hearing late last year," the statement read. Maybe the leaders of the RBB should sit down and talk with John Hill, whose father (also John) was struck and killed by a flare in a World Cup qualifying game in 1993 in Cardiff. Two brothers later admitted to manslaughter and were jailed for three years. Let's hope it does not take a tragedy such as that to make fans in this country see sense. 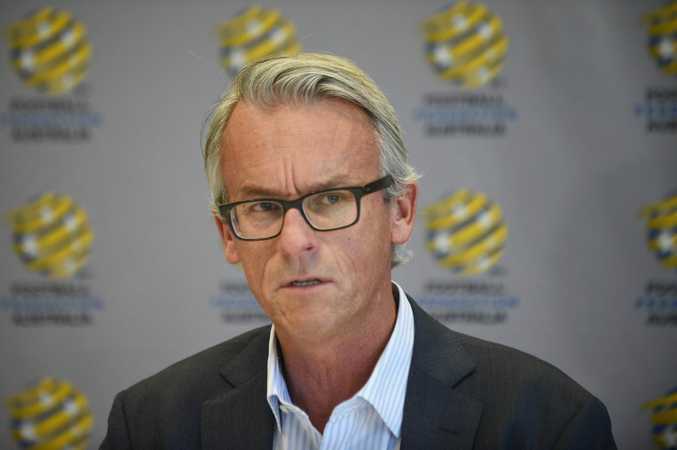 FFA boss David Gallop this week sent an open letter to fans on the subject of anti-social behaviour. In the letter Gallop wrote: "What we are dealing with is not a cultural problem, but anti-social elements that use football as a platform for their idiotic behaviour. Igniting flares in a public place is dangerous behaviour. "The other notable decision taken this week was the introduction of a new Fan Banning Procedure. "We have made changes to make the system comprehensive in the way it deals with incidents, with an opportunity for people accused of anti-social behaviour to make a submission prior to a Banning Notice being enforced. 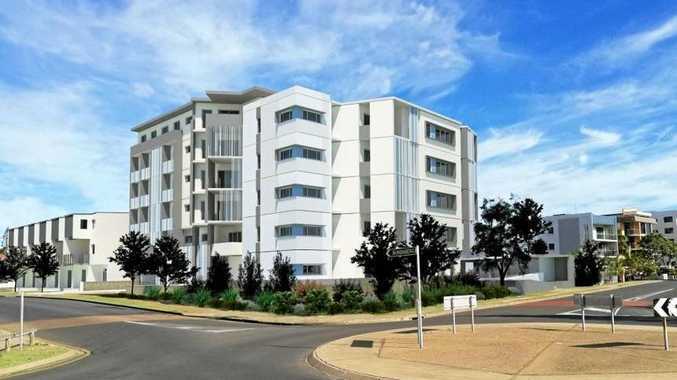 The new procedure allows an avenue for an appeal to an independent panel. "But I must make it clear; do not view these changes as a sign that our resolve has diminished in tackling troublemakers. "FFA will do whatever is necessary, no matter the short-term pain, to protect the good name of football and all those who participate in our great sport." Let's hope the FFA does not have to act this weekend, otherwise the game has bigger problems than first thought.